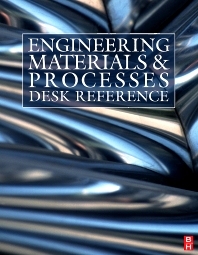 A one-stop desk reference, for engineers involved in the use of engineered materials across engineering and electronics, this book will not gather dust on the shelf. It brings together the essential professional reference content from leading international contributors in the field. Material ranges from basic to advanced topics, including materials and process selection and explanations of properties of metals, ceramics, plastics and composites. Rajiv Asthana, Ph.D., FASM, is Fulton and Edna Holtby Endowed Chair in manufacturing at the University of Wisconsin-Stout where he teaches in the manufacturing engineering program. He is Editor of Journal of Materials Engineering & Performance and on the editorial boards of Ceramics International and Materials Science and Engineering A. He has authored or coauthored five books, including Materials Science in Manufacturing (Elsevier) and 160 scientific publications, and co-edited Ceramic Integration and Joining Technologies (Wiley). His research interests include ceramic/metal joining, high-temperature capillarity and cast metal-matrix composites. Dr. Edward Furlani holds BS degrees in both physics and electrical engineering, and MS and PhD degrees in theoretical physics from the State University of New York at Buffalo. He is currently a research associate in the research laboratories of the Eastman Kodak Company, which he joined in 1982. He has worked in the area of applied magnetics for over 15 years. 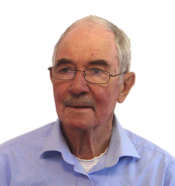 His research in this area has involved the design and development of numerous magnetic devices and processes. He has extensive experience in the analysis and simulation of a broad range of magnetic applications including rare-earth permanent magnet structures, magnetic drives and suspensions, magnetic circuits, magnetic brush subsystems in the electrophotographic process, magnetic and magneto-optic recording, high-gradient magnetic separation, and electromechanical devices such as transducers, actuators and motors. His current research activity is in the area of microsystems and involves the analysis and simulation of various micro-electromechanical systems (MEMS) including light modulators, microactuators and microfluidic components. Dr. Furlani has authored over 40 publications in scientific journals and holds over 100 US patents. Eastman Kodak Company, Rochester, New York, U.S.A.
Doctorates from the University of Novi Sad (Yugoslavia), University ofWales and Cranfield University. the Institute of Materials (1989), and the Acta Materialia Gold Medal (2004). consultant for a number of institutions both in the UK and overseas. University of Auckland. He is active in conference organization and journal editorial work. Russell J. Crawford is Professor and Dean of the Faculty of Life and Social Sciences at Swinburne University of Technology, Melbourne, Australia.